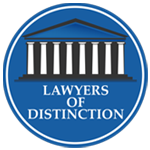 If you or one of your family members was arrested and charged with stalking or harassment in Philadelphia, you urgently need legal help from an experienced harassment and stalking defense attorney. If you or your loved one is convicted of either offense, the consequences could include prison, fines, probation, and a criminal record. These penalties can create future problems when it comes to looking for jobs, loans, or housing opportunities. 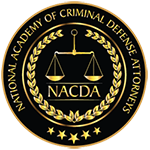 When the stakes are high, you need experienced, aggressive criminal defense. It may be possible to have the charges reduced or dismissed. 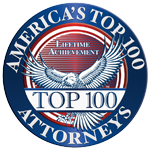 For a free and completely confidential legal consultation, contact criminal defense attorney Lauren Wimmer. Though related, harassment and stalking are separate crimes in Pennsylvania. It is possible to be charged with one but not the other, or to be charged with both offenses. Harassment is defined under 18 Pa.C.S. § 2709(a), while stalking is defined under 18 Pa.C.S. § 2709.1(a). Took certain actions, called a “course of conduct,” that showed “either an intent to place [the victim] in reasonable fear of bodily injury or to cause substantial emotional distress.” This includes following someone around. “Strikes, shoves, kicks, or otherwise”, including attempts and threats to do so. Followed another person in or around one or more public places. Repeatedly and anonymously communicated with the other person, such as repeatedly making anonymous phone calls. Repeatedly communicated in other ways. Convictions for stalking and harassment can both result in serious consequences. While most defendants’ first concerns are fines and jail times, there can also be other negative repercussions of a criminal conviction. For example, you may be placed on probation or be required to pay restitution to the victim in addition to your criminal fines. You will also gain a criminal record, which can permanently harm your professional reputation and make it extremely difficult to get hired. The bottom line is that a conviction of either crime may permanently change your life. Our aggressive harassment and stalking defense increases the opportunity for reduced charges and a better outcome in your case. There are also crimes known as “summary offenses,” which are less serious than misdemeanors, but can still carry fines, jail time, and other penalties. Unlike misdemeanors and felonies, summary offenses are not split into different levels. Under 18 Pa.C.S. § 2709(c)(1), harassment is generally charged as a summary offense. However, some forms of harassment, such as repeatedly communicating anonymously, are third degree misdemeanors. A related offense known as cyber harassment of a child, charged under 18 Pa.C.S. 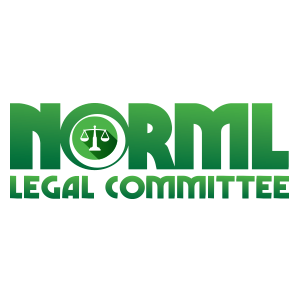 § 2709(a.1), is also a third degree misdemeanor. If you are facing charges you need an aggressive Philadelphia harassment and stalking defense attorney. Contact Wimmer Criminal Defense or call for a free consultation at 215-712-1212 to learn more about how we can help to reduce the charges you actually face as well as reducing the short and long-term consequences. 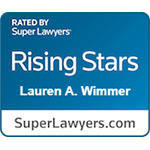 Lauren Wimmer has a history of successfully resolving felony, misdemeanor, and summary offense cases in Pennsylvania. 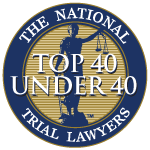 For a free, confidential legal consultation, call today.